UST operator training in Pennsylvania is required by federal law and is intended to ensure that those who own and operate underground storage tanks understand how to operate and maintain UST systems properly. Pennsylvania Class A operators have primary responsibility for on-site operation and maintenance of a UST facility. This individual is generally the owner of the station or the designee. For large corporations, this person is the manager or designee responsible for tank operations. 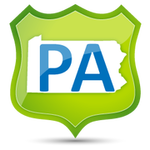 Pennsylvania Class B operators have responsibility for the day-to-day aspects of operating, maintaining, and record keeping of a UST facility. This individual (or individuals) is generally the owner or the person/company contracted by the owner to maintain the tanks. For large corporations, this person is the employee, or person/company contracted by the corporation to maintain the tanks. Pennsylvania Class C Operators are the first responders to emergency situations at a UST facility – like a gas station or convenience store. These individuals are usually the clerks of a facility. The Pennsylvania Department of Environmental Protection (DEP) – Bureau of Waste Management – Division of Storage Tanks – Underground Storage Tank Program has been designated to protect public health and the environment through oversight, investigation and cleanup of soil and groundwater contamination caused by releases from USTs. The Storage Tank Program protects Pennsylvania’s air, land and water from storage tank releases and provide for the health and safety of its citizens. According to the Pennsylvania Storage Tank Program Regulations (25 Pa Code, Chapter 245), after June 28, 2010, all regulated underground storage tank facilities must have emergency procedures and notification information readily available at the facility or in the case of unmanned facilities, posted within sight of the facility user. Also, after August 8, 2012, all active regulated underground storage tank facilities must have at least one designated Class A, B, and C operator. Class A operator. A Class A operator has primary responsibility to operate and maintain the underground storage tank system and facility. In general, this person focuses on the broader aspects of the statutory and regulatory requirements and standards necessary to properly operate and maintain the underground storage tank system and facility. Class B operator. A Class B operator implements applicable underground storage tank regulatory requirements and standards in the field or at the storage tank facility. This person oversees and implements the day-to-day aspects of operations, maintenance and recordkeeping for the underground storage tanks at one or more facilities. Class C operator. A Class C operator is the first line of response to events indicating emergency conditions. 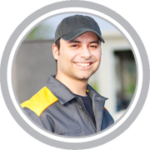 This person is responsible for responding to alarms or other indications of emergencies caused by spills or releases from underground storage tank systems and equipment failures. While Class A and Class B operators only need to attend training once as long as facility compliance is maintained, individuals who are designated as Class C operators must receive annual refresher training. Annual refresher training should consist of, at a minimum, a review of the facility’s emergency procedures to ensure contact information and storage tank components are current. As a result of the retraining of Class A operators or Class B operators, subsequent re-training of the Class C operators shall also occur. Voluntary refresher training is encouraged to ensure operator is up-to-date with current regulations and procedures. We offer online UST operator training in Pennsylvania for: Philadelphia, Pittsburgh, Allentown, Erie, Reading, Scranton, Bethlehem, Lancaster, Levittown, Harrisburg, Altoona, York, State College, Wilkes-Barre, Norristown, Chester, Bethel Park, Williamsport, Monroeville, Drexel Hill, Plum, Easton, Lebanon, Hazleton, New Castle, Pottstown, Allison Park, Johnstown, West Mifflin, Chambersburg, King of Prussia, Murrysville, McKeesport, and many more!